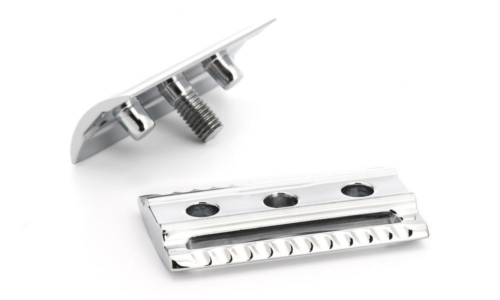 You have everything to gain from a safety razor shave. An important part of the traditional shave is heat. Transferring heat onto your face and facial hair. Certainly makes it easier to be shaven. This is due to the skin being looser and the hair being softer. 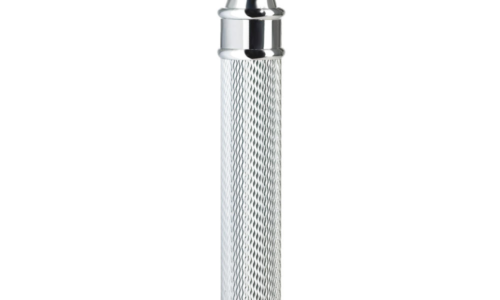 Another important component of a good shave is water. Which is the worlds best lubricant. The traditional barber will apply a hot wet towel to the face of the customer. This will steam and soften the grain to make it easier for the barber. To shave in the cold is also a difficult job, as found out by a barber I knew. He shaved at a show in a department store which had the air conditioning on. This made a difficult job of keeping the customers face warm, resulting in some cuts. Therefore my advice is to wet your face thoroughly in a hot sink. Some people jump in the shower before which I find a bit uncomfortable. So I saturate my face prior to a shower in a hot sink. Until my face is dripping. There is more lather with shaving cream it is also firmer. However shaving soap is cheaper by a long way. We are talking 6 months more use than a shaving cream. There is more lubrication on shaving soap to. Also a organic natural shaving cream is hard to come by. Where as there is a great deal of natural shaving soaps, that don’t contain chemical foaming agents. If you use a shaving soap you can pretty much lather it quick onto your face. However a shaving cream takes a little work. You need to create friction for this, so I put a small amount in a bowl. Before the cream I leave the bowl in a hot sink, which adds to the hot lather. I leave the shaving brush also in the sink until hot which is important. I then extract a hot dripping brush from the sink. Then whip the cream in the bowl hard. Backward and forwards I circulate the brush until it is thick with a firm lather. This will only take 15 seconds or so despite my explanation. Apply it to my face in a painting manner. I then circulate the brush to make more lather again. Until I have a good three millimeters of shaving cream on my face. 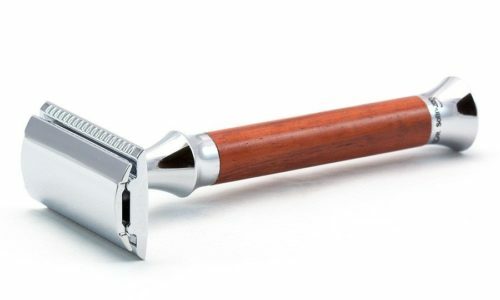 Using a middle aggressive safety razor. 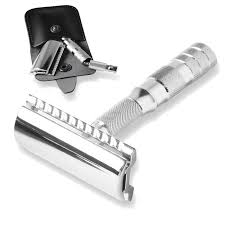 Like a Muhle or a non aggressive razor like fatip. I start with my cheeks. 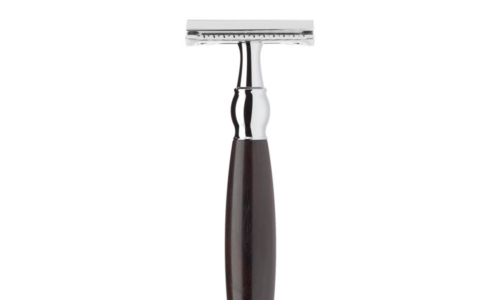 Carefully I shave with the grain in a down or diagonal method. I shave my mustache line with care also tricky places around my mouth. I chamfer my jaw line across and with the grain also. I then go straight down the jaw to make sure I have not missed any parts. As I often find after my shave the point of my chin is still stubbly. Down the face I employ long strokes of two inches. However on my throat, I will use small strokes which are more delicate. I also don’t tighten my skin on my face. But I am sure to not stretch it on my neck and throat. The Adams apple is a tricky one as finding which way a grain goes is tricky. I sometime take time plucking each hair with the razor. Once the first pass is done I wet and lather my face again. I then shave up with a knowledge of the map of my grain. Take heed as sometimes it is baffling which direction it goes. However I shave against the grain on the second pass. I use more care as the first using smaller strokes. Once completed I inspect my face. Often my chin and back of jaw has hair on it still so I employ a third pass. I jump in the shower after I shave. I soap and wash my neck and face so I don’t get irritated. Some people use a shaving balm or after shave to close and cleanse the pours. I just shower and then hit the freezing streets of London. I apply cologne of an evening but this is to my clothes not my face as a stringent. An aftershave balm is a great thing if you have dry skin or want that added gleam. However applying it you realise how good or bad your shaving method is. That’s why this article is shaving gold dust. 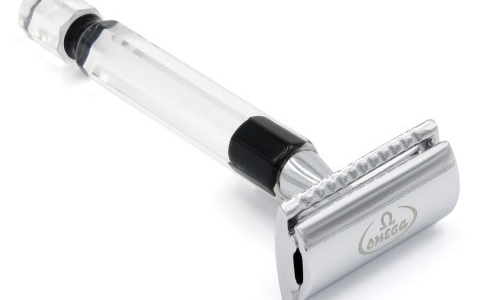 I safety razor shave for a number of reasons. But to be clean shaven is not as common as it was in decades passed. As a bit of a rugged few day’s growth has become fasionable. Some men are very handsome and it doesn’t matter if they have facial hair. Other people are very ugly and having a bit of long stubble will make their face worse. An unshaven face represented the slovenly before now. I still maintain that only certain men can wear a few days growth well. I am not one of those men. If I don’t shave I feel dirty and and greasy. As facial hair and particularly stubble isn’t cleaned properly. I heed warning to anyone who clippers there face with a trimmer set on grade three. 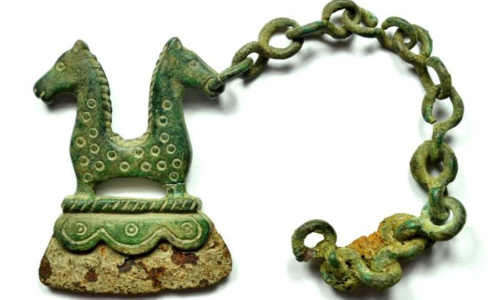 These chin ornaments are rarely washed. Also I often sadly see friends of mine who look greasy as flip. Who rest on the laurel of fasion. Hiding behind the fact they can’t be bothered to wash and shave. The world respond better to a tidy man. Also your future self will shudder to think how little you bothered. I get caught out, like the other day with not looking great. In my defence the builders had taken over my bathroom. But I am responsible for my own face. I had seen a attractive hairdresser that works near me. Whilst out to lunch we had a brief conversation but it was cut short. By my introduction and by my unkept image. Not to mention her having eyeballs that presumably functioned. 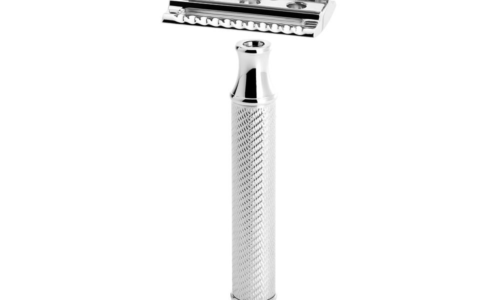 However today I shaved with several strong passes with my safety razor of choice. Using a top shaving cream and brush. I also conditioned my hair adding a good paste into it as gel is for losers. I walked passed her shop with a new confidence. To which she gave me a nice look. What a difference is made by a bit of traditional gent’s grooming. Also when you set a bar of good grooming. You set a standard for yourself that people will expect. To relapse into a grubby image is a bad move. Although you are only a few days away from it. 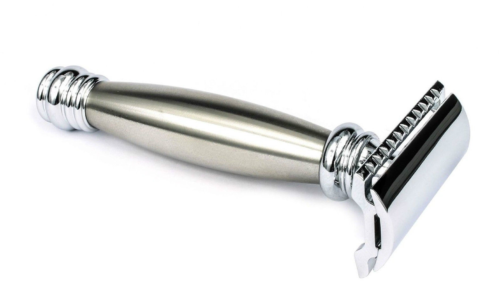 My suggestion to most guys is shave or if you do have facial hair wash it. I have builders in my house at the moment which is an annoyance. My landlord too is seemingly not sorry about this. Sadly being a flaw of his personality. Also an electrician covered my current shaving kit which was the final straw. Cleaning the brush hard I managed to bring it back to life and he needs to thank his lucky stars my safety razor isn’t broken. Amongst all the dust and whistling from varius trades, I have found sanctum yet again In a great wet shave. 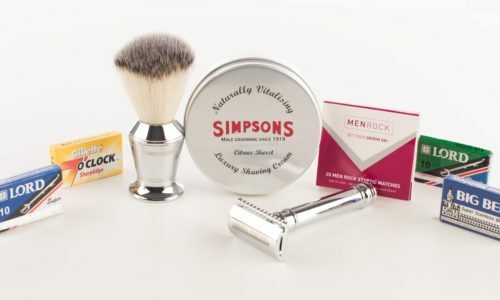 I have been meaning to shave with Simpson’s peppermint and rosemary shaving cream. It has proven a great experience. Previously I have enjoyed the citrus burst option, but I have been attracted to this one and was a pleasure to use. The peppermint provides a great scent and rosemary a nice undertone. It also has a pearly quality that gives a thick as you like lather. Using a Edward’s shaving bowl. I submerge it in hot water and leaving a dribble in the bottom. I then after dabbing my brush in the shaving cream. Whip it clockwise and anti clockwise into the bowl. I also claw my fingers over the bowl making friction and thus more lather. Applying this to a my wet face I press hard into my cheeks creating more lather. Using my new toy being a Muhle R89 safety razor that ploughs off the stubble. I tend to go down in a hard diagonal angle, which adds a little slice to the hairs. Always carefully with the mustache, due to me being prone to clipping the bottom lip of my nose. The neck and throat I take a little time and sometimes bull frog my chin as to add flexibilty. Hard to spot places are the backs of my jaw and along my jaw line. So my jaw basically. This has always been a place for people to make comments about if there is hair. Also someone who owns a shaving shop is often heavily scrutinised for any face fur. 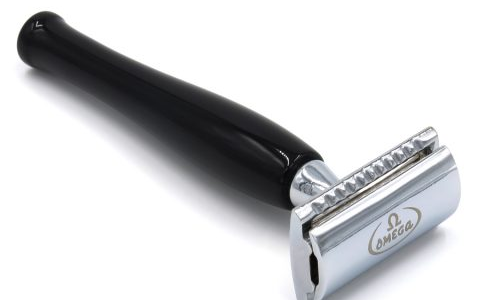 I usually just shave with the grain and down if I am shaving everyday. 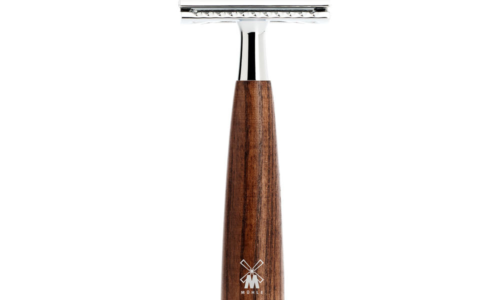 A Muhle head is really a great ally for a single pass shave so grab one today at Edward’s shaving shop.